Sponsored by Greenville Chinese Christian Fellowship (GCCF), ECU Ark Fellowship had a spiritual retreat at CLRC’s Lake Gaston October 31- November 1. A total of 25 ECU students and scholars, along with co-workers from GCCF attended this retreat. 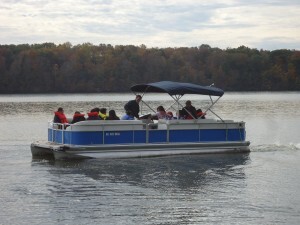 This was the first time GCCF visiting CLRC’s Lake Gaston facility. 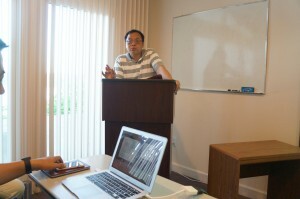 That first day Pastor Chaoyang shared a message of “Body-Mind-Spirit, IQ-EQ-SQ”. 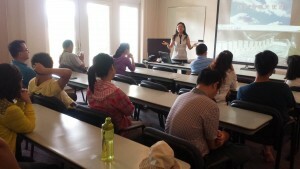 While many of us might have high IQ, we may need to work on our EQ. But the most important one is the SQ, spiritual quotient. 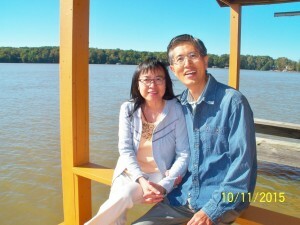 With God’s guidance and Jesus’ love, integrity, kindness, peace, wisdom, we are set to be successful and joyful in this world. 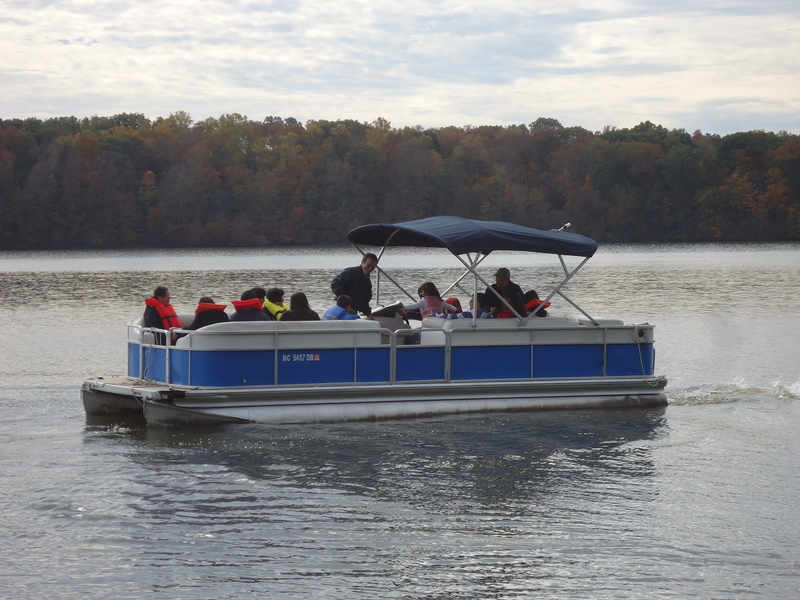 After lunch, we enjoyed colorful fall leaves while riding the boat in Lake Gaston. 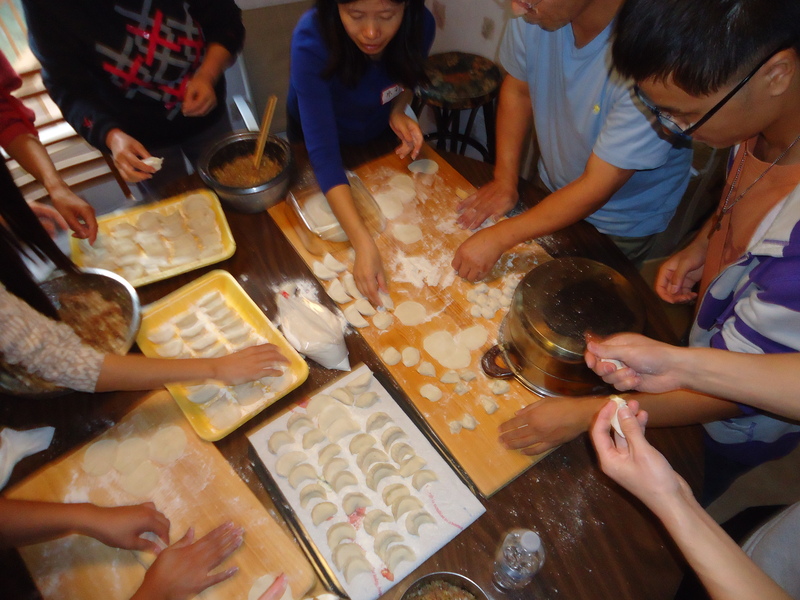 The food was delicious and making dumplings together for dinner was one of the best moments during the retreat to have fellowship together. 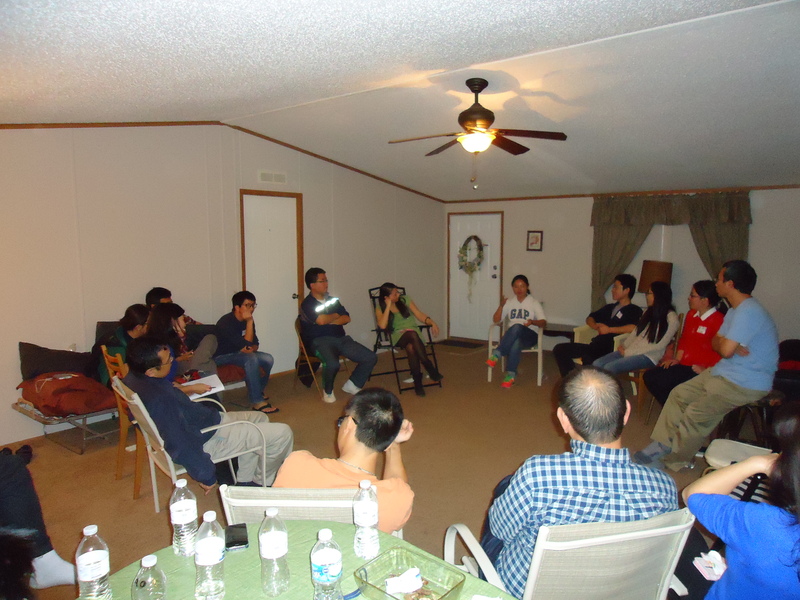 During the evening, we shared our testimonies, Christian lives, and discussed many questions regarding our faith. Sunday morning we had our regular worship service. Pastor Chaoyang gave a message titled “Purpose of Life”. 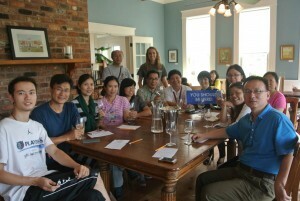 On the way home, we had opportunity to visit a vineyard. 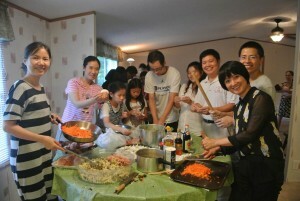 Everyone had a relaxed weekend and was lifted spiritually. 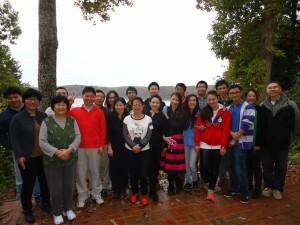 Duke Chinese Christian Fellowship organized a Fall weekend retreat at CLRC’s Lake Gaston on October 9-11. 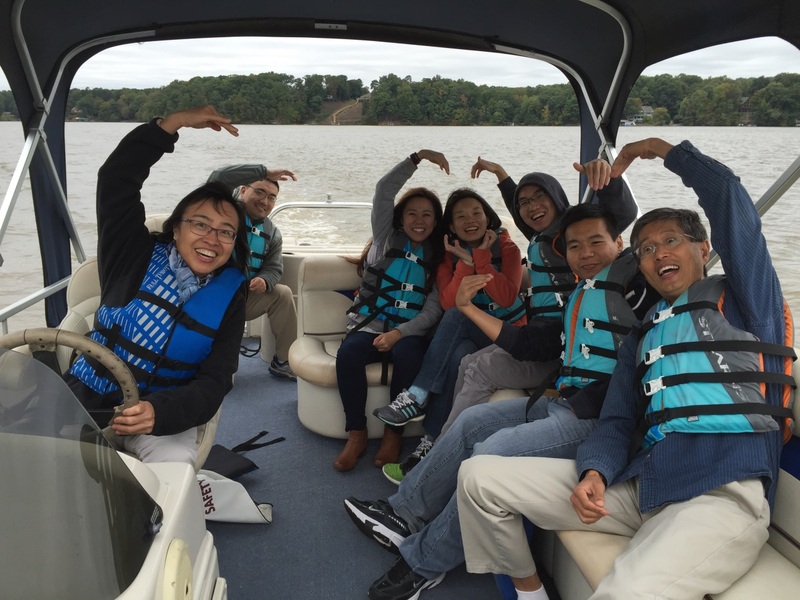 The purpose of the retreat was to encourage everyone to lay down their worldly worries from busy life and to enjoy a quiet fellowship time with one another in our Heavenly Father’s love along the beautiful lake shore. 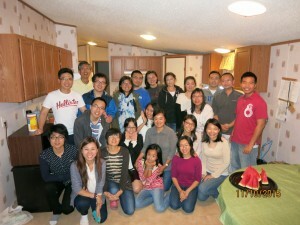 29 brothers/sisters and friends stayed together sharing God’s love and building up one another. 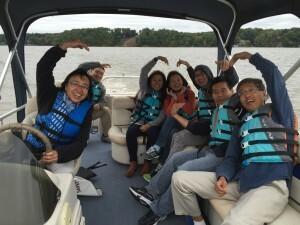 Besides making dumplings, BBQ and beef-stewed noodles, everyone took turns riding a rental platoon boat along the Lake. 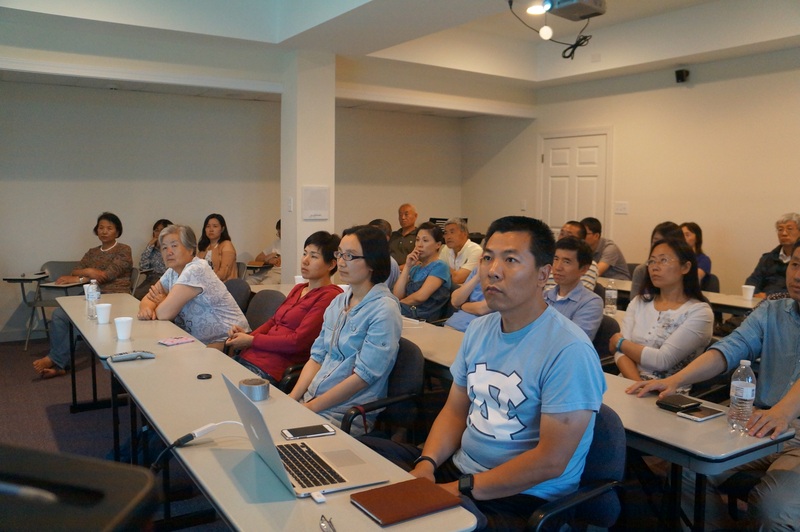 Brother Yuhai Wu of AFC shared two messages: “Where Does My Source of Strength Come From?” and “Sharing Jesus” on Saturday and Sunday. Many non-Christian friends attended the retreat as well. 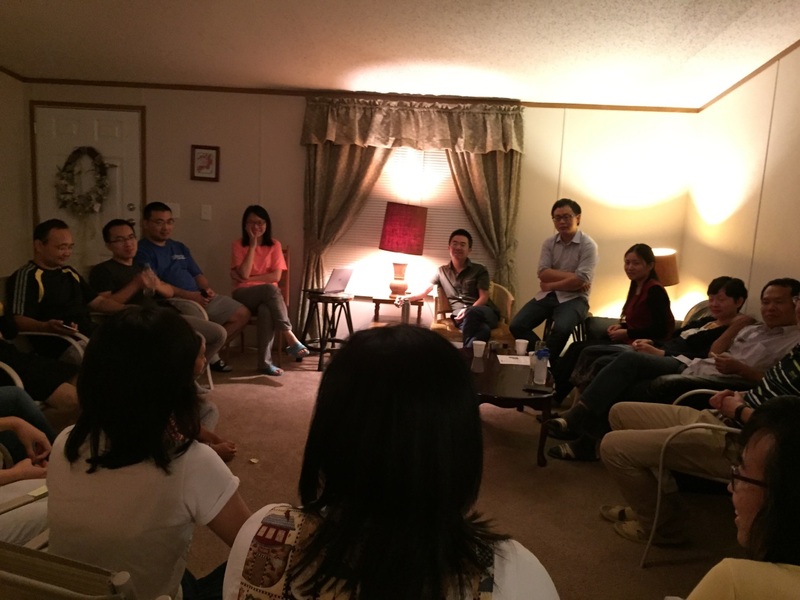 May the gospel seeds be planted in their hearts and bear fruits. 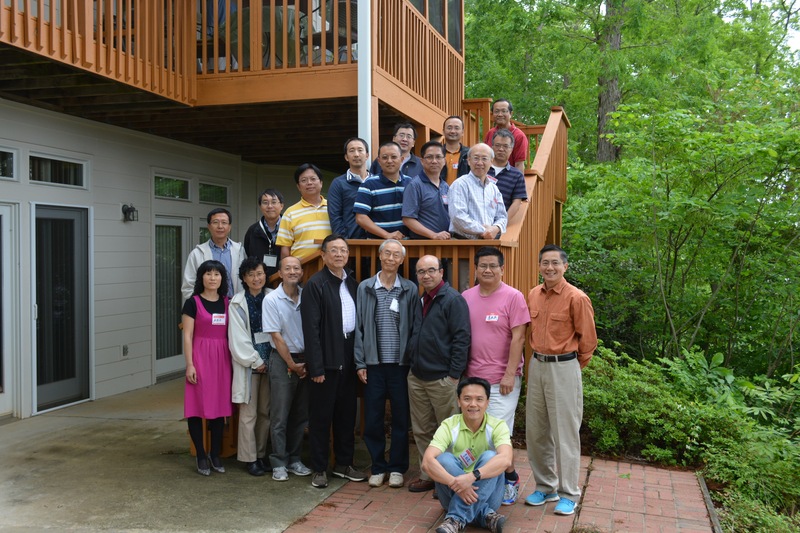 Through the retreat, everyone’s spiritual life was renewed. 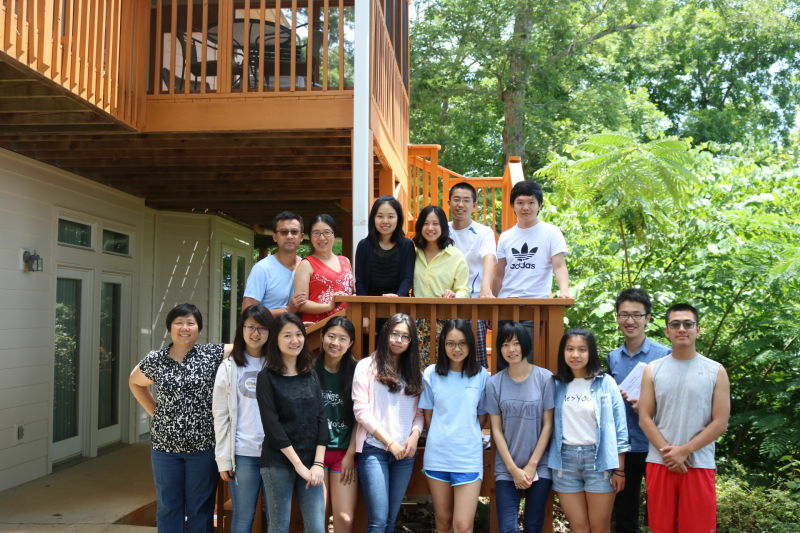 NCSU’s Family of Chinese Scholars Fellowship together Duke and UNC students of about 20 people organized a retreat at CLRC’s Lake Gaston facility on Labor’s Day weekend. 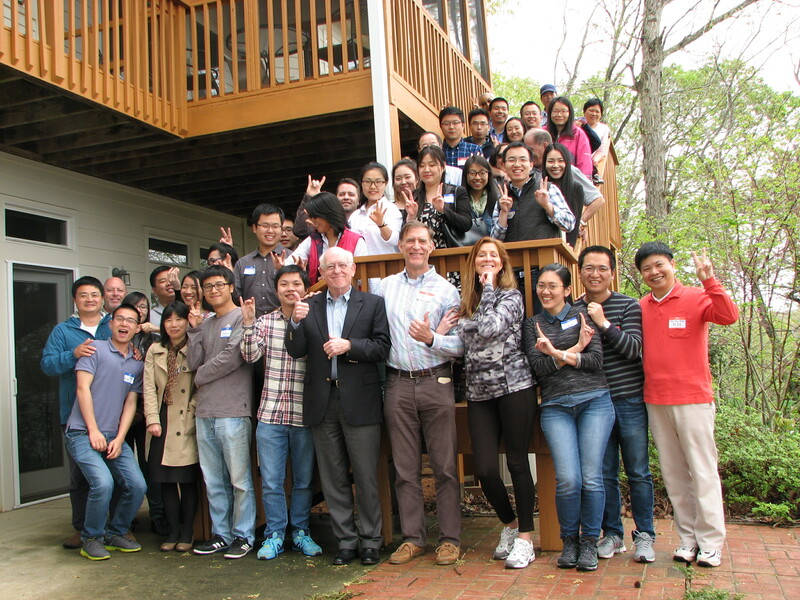 All enjoyed and had a good time for the gathering. Pastor Peng of Ambassador For Christ sharing a gospel message titled “From Ivy-league Colleges to Realize that Knowledge and Fear of the Lord is the True Wisdom of Life.” Through making dumpling together, everyone got a chance to know one another just like Psalm 133: “How good and pleasant it is when God’s people live together in unity!” At night, all watched the movie “Chariots of Fire” featuring Eric Liddell who gave up his life and came to China for missions. 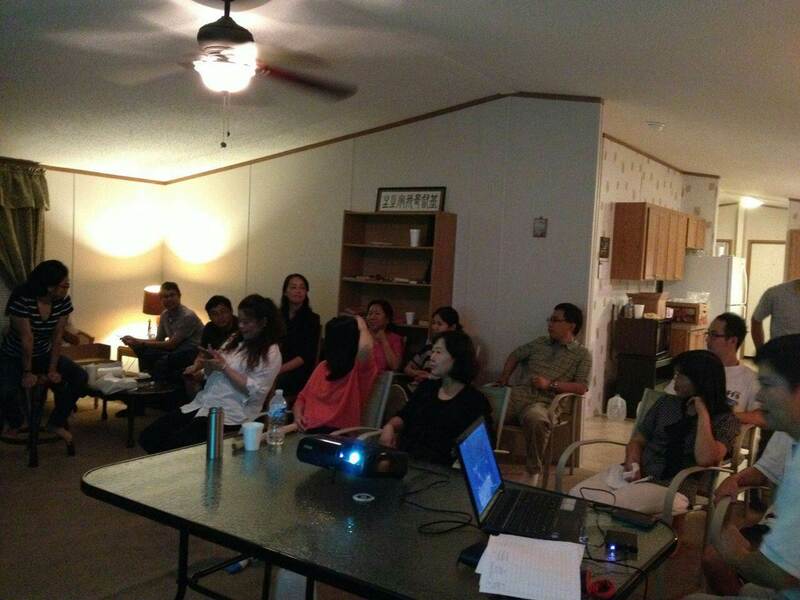 Everyone was touched by his sacrificial love towards the Lord. 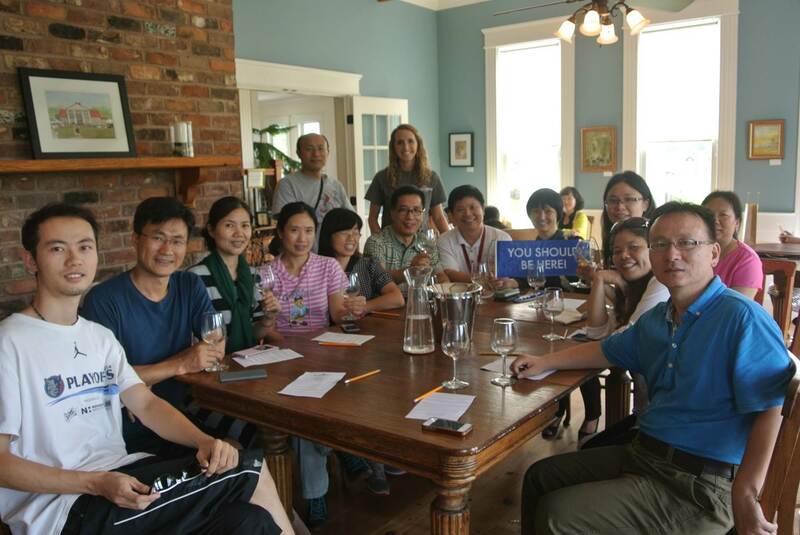 Even though the retreat time is just for 1-night stay, we got a chance to visit a nearby wineary of wine tasting. 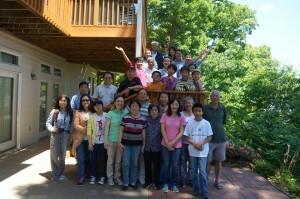 Praise the Lord for all the blessings through the retreat. And thank CLRC for the hosting. 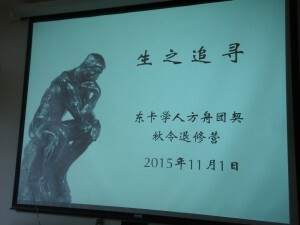 弟兄姐妹和睦同居是何等的善、何等的美! 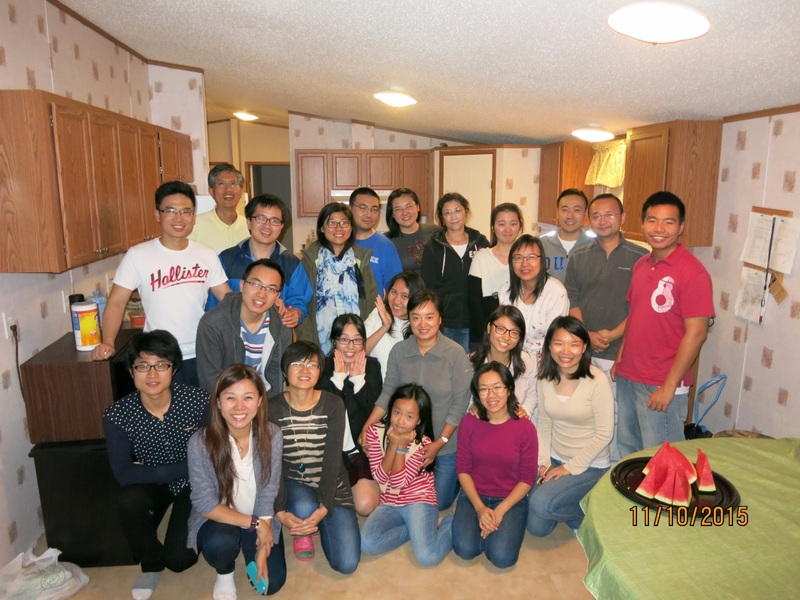 / How good and pleasant it is when God’s people live together in unity! We feel the Words of God. Lord Jesus, we praise you, not only the true God but also the living God. You live inside me, guiding, changing, correcting, and transforming me on all things, big or small. Oh, Lord Jesus, please help me live under your governance and protection always, help me experience you on all aspects of my daily life whenever I speak and act, so that I can be a witness of the living God that we believe in within my family, among my neighbors and friends. Oh Lord, help me turn from idols and serve you – the true and living God!